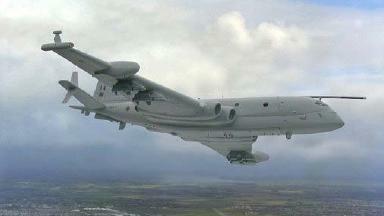 A powerful committee of MPs has ordered a new probe into the scrapping of Nimrod MRA4. A powerful group of MPs are to undertake a probe into why £3.4billion of taxpayers’ cash was "wasted" on replacement Nimrod aircraft for RAF Kinloss. The public accounts committee has ordered the auditor general to conduct a new investigation into why defence chiefs axed the Nimrod MRA4 project “without a full and complete knowledge of the cost implications”. In October 2010, the Ministry of Defence announced the cancellation of the project and the closure of RAF Kinloss. At least one completed Nimrod MRA4 was already undergoing test flights with others close to completion when the decision was taken – with all MRA4’s broken up and scrapped shortly after. Moray MP Angus Robertson said last night: “After spending billions on the Nimrod programme the destruction of these state-of-the-art aircraft was an act of vandalism and a scandalous waste of public money. A spokesman for the National Audit Office has said that the request has been noted and discussions will now take place with the committee on how best to proceed. Defence Secretary Phillip Hammond said: “Scrapping the ill-fated Nimrod MRA4 was one of the many tough but necessary decisions we had to take to deal with an equipment programme that was out of control. 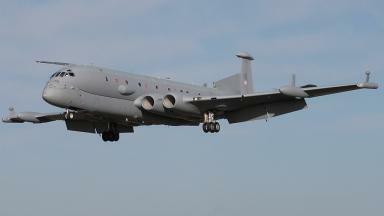 19 May 2011 Former defence chief admits that scrapping Nimrod was his "greatest regret"